"The use of Smart Cuffs has been one of the biggest additions to our program in years. Being able to have a single tool that can be used for pre-practice preparation, post training recovery, return to play protocols, and athletic development has changed our ability to adapt to the needs of our athletes. 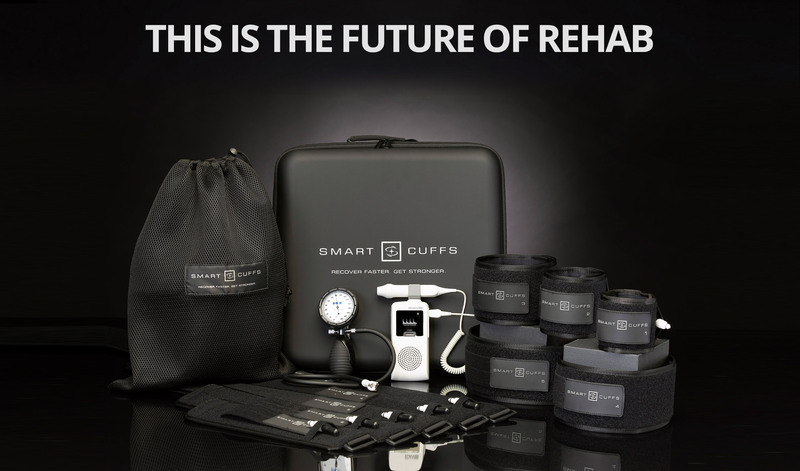 The Smart Cuffs are a must for any performance/sports medicine department." 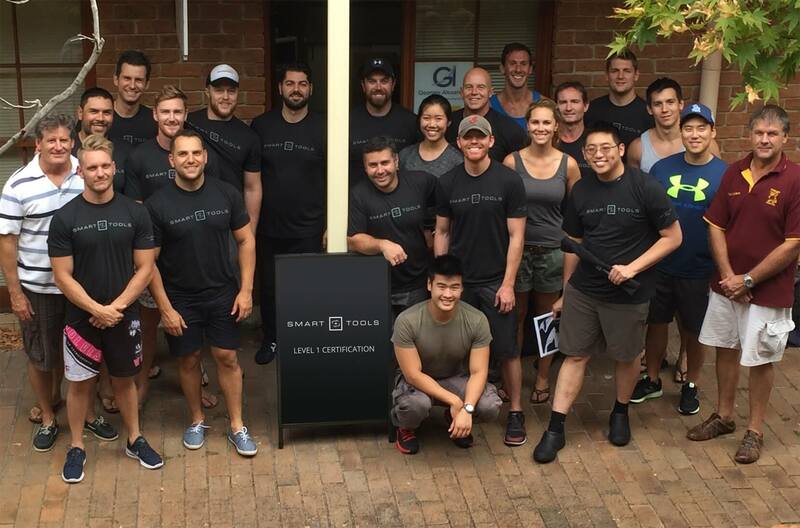 We offer CEU-approved, evidence-based training courses in IASTM and Blood Flow Restriction (BFR) Training all over the world. Our goal with all our courses is for you to be able to immediately implement our system and techniques in the clinical setting on Monday morning with your patients. This double-beveled IASTM tool will fit perfectly in any sized hand and was designed specifically for the foot, but has utility in other regions of the body. This IASTM tool is double-beveled around its entire edge surface exactly like the STM1, but this tool is larger and designed for medium sized areas of the body where the STM1 wouldn't be ideal. This tool also features two inlets to treat the lower leg and provide balance to the tool for superior feel and comfort. Nicknamed the handlebar, this IASTM tool features two single-beveled treatment edges to allow the ultimate versatility in treating larger muscle groups. This IASTM tool is used for one purpose: scanning the tissue. Its one single-beveled edge is ultra sensitive and designed specifically to seek out areas of tissue that need treatment. The Swiss army knife of the set, this IASTM tool features one double-beveled inlet, one single-beveled inlet, and one rounded ball end for elite versatility. This tool is perfect to smaller areas of the body. We are a family owned, clinician-run, USA based company that takes pride in designing and manufacturing all our products in the USA at FDA Registered and ISO certified facilities. Our company goal is to make the highest quality product and educational courses that we can, while making it affordable so that all providers can attend and implement our system immediately with their patients. 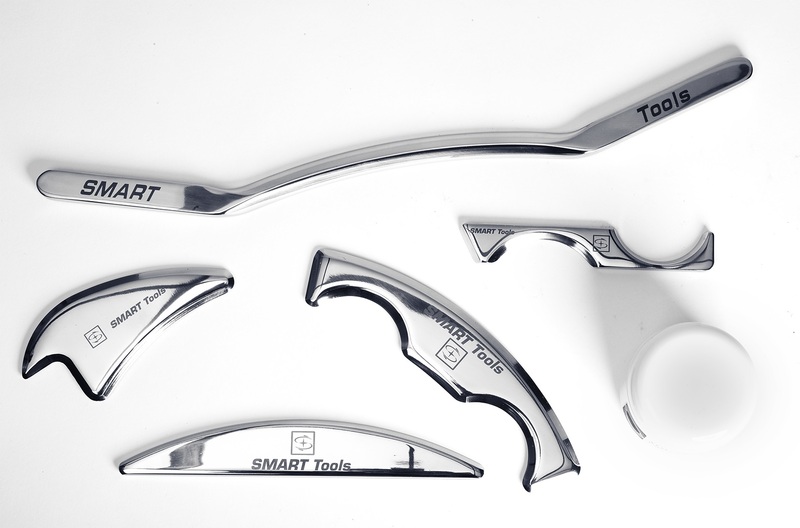 The Smart Tools are our flagship product since our founding in 2014 and are used for IASTM (Instrument Assisted Soft Tissue Mobilization). 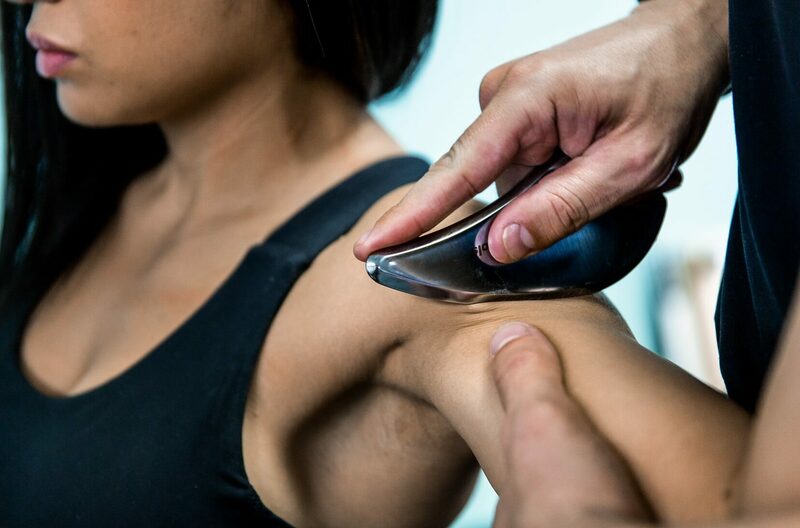 Unlike many IASTM tools currently on the market, the Smart Tools are made of medical grade 316 stainless steel, machined from a solid stock of metal, hand polished to a mirror-finish, and FDA Registered as a medical device. Most IASTM tools are casted metal, which is pouring molten steel into a dye and creating the shape of the tool. The problem with this method is the creation of air pockets in the metal, which result in a dull tissue feedback to the practitioner. By deriving our IASTM tools from a solid stock of metal (not casting), it prevents air pockets from forming in the metal and giving the practitioner a superior feel that has made our IASTM tools one of the most popular in the world. Our premium quality products, combined with our IASTM certification courses, are a combination that can't be found anywhere else. In 2018, we launched our Smart Cuffs for blood flow restriction (BFR) training. This modality is a true game changer in the world of rehab, sports training, bodybuilding, and general fitness. Blood flow restriction training goes by many terms (KAATSU, occlusion training, BFR, etc. ), but all are striving for the same goal: allowing you to train at lower loads while achieving the same results you would get at training at higher loads. While the bulk of blood flow restriction research is done using practical BFR (using nothing more than a floss band or knee strap), the problem has always been consistency from one session to the next since practical BFR is not quantifiable or repeatable. The Smart Cuffs solve this problem. By utilizing a palm sphygmomanometer, you know exactly how much pressure you are applying to the Cuffs to replicate the results in the literature. We also have developed a blood flow restriction training course to further hone your skills and teach how to program BFR for specific patient and client populatons. Being consistent with what our company stands for, the combination of evidence-based BFR programming and creating affordable yet high quality BFR Cuff, is something we take great pride in. In addition, we are only 1 of 2 blood flow restriction training products to be granted FDA Listing as a Class 1 Medical Device. The Smart Cuffs are also manufactured in an FDA Registered and ISO medical device certified facility.